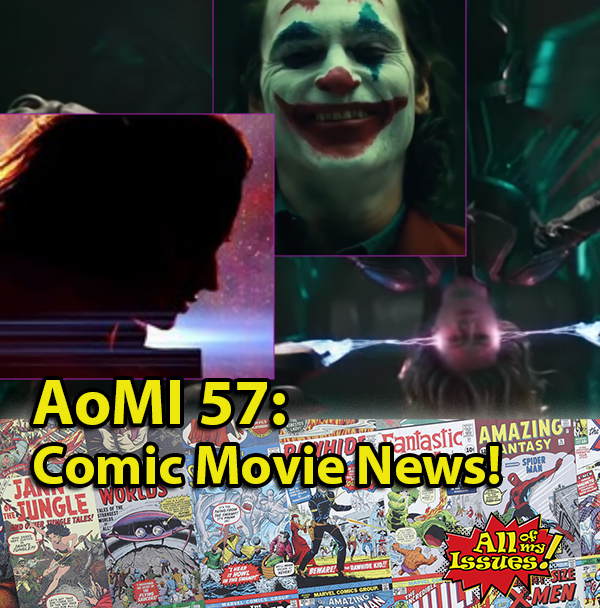 AoMI 57- Comic Movies News – All of My Issues! New Joker, same as the old Joker? They’ve recently given everyone a sneak peek of Joaquin Phoenix as the titular character for the new, solo Joker movie. Find out what we think in this episode of All of My Issues. Also, there have been a couple of other recent trailers for some other upcoming comic book movies. Those trailers would be Captain Marvel and the Dark Phoenix. All this and more in AoMI Episode 57!